After watching a video or having sugaring procedure in beauty salon, some people think that epilation with sugar paste is very simple. Seriously, what so difficult is about applying paste on the skin and ripping it off the body? Practice shows, that everyone makes mistakes. Let's have a look at the most common of them – typical for both, professionals and beginners. Soft, means easy to work with. Soft, therefore less painful it will be. In reality, to work with a soft paste you must be very skilled and have a lot of patience, and also be very familiar with technique. Professionals recommend to choose a harder paste, so you can learn how to soften it up, and feel its optimal temperature and texture that you need. When it comes to pain level of procedure – this is not a question of paste density, it's a matter of technique. If you are not confident that you do everything right, then it makes sense to take lessons, get more skilled, and only after that attract clients. Sometimes you chose a correct type of paste, and it's acting weird, becoming sticky and liquid. More likely you over melted paste in your hands and it lost its qualities. Paste should stay in hands of specialist minimal time: apply, pull (pluck) – apply, pull (no messing around with it in your hands). In other cases, it get overheated in hands of specialist, and stop working. In professional sugaring using gloves is necessary, they isolate warmth from specialist hands almost completely, and, of course it is hygienically correct. You can hear from the beginners, that paste is being just sticky and too liquid, and not able to pull hair. This can be caused by incorrectly performed technique of applying and pulling (perpendicularly towards skin). 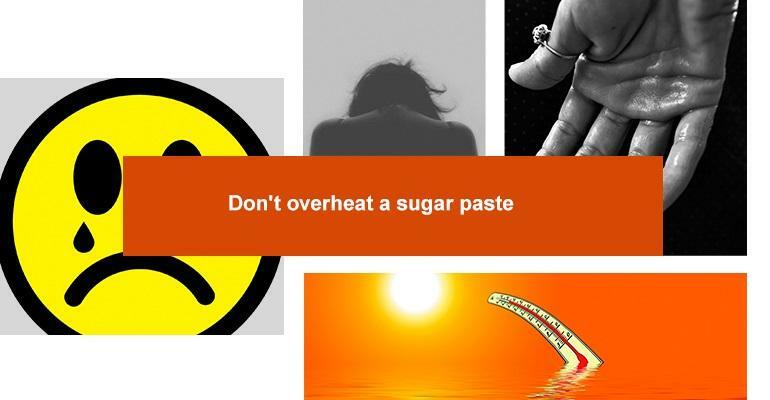 Sugar paste must be applied against the direction of hair growth, and pulling – along the direction of growth, with a fast and strong hand moves, parallel angle towards skin. To minimize the pain and maximize the result – skin must be stretched tight. One more mistake, that is very typical for beginners, when a sugar paste strip is left too wide. The wideness of the strip does not guaranty the effect of procedure. The strip must have quite convenient wideness, so while pulling, all sides coming off equally. Not being confident with his actions, specialist takes a pause between applying the paste and pulling or, after smearing the paste, tries to increase adhesion by pressing “strip” against the skin. In both cases, procedure is being performed not correctly. 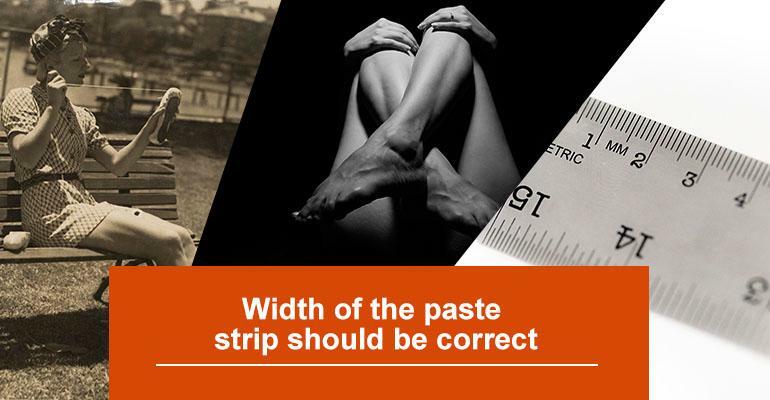 Pauses, delays, and especially pressing and smoothing of the paste on the skin are prohibited. Moves must be confident and fast – only this will help to minimize painful sensations and get the work done maximally quick. The only exception – some deliberation at work, before paste is reheated. After absorbing warmth from the client's skin, paste becomes more flexible, and then it is time to “turn on speed”, not forgetting about technique. Find “models” for you experiments, and practice, until you technique get automatic – without any stuck and fear. Find professionals, who are good at it and can teach. After courses graduation, start work immediately.